Can I Sue a “Big Box” Store if a Big Box Falls and Injures Me? If you have ever shopped in one of those “big box” stores such as IKEA, Home Depot, Lowes, or Walmart, you have seen the merchandise piled high on shelves. More often than you might think, one of those big boxes falls off a high shelf and injures a customer. 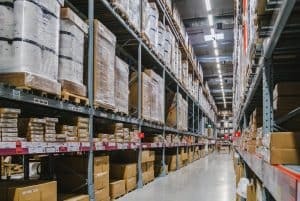 In these massive warehouse stores where workers move product around using forklifts, there are far too many opportunities for accidents and injuries. But these types of falling object injuries are preventable. They occur because of some form of negligence on the part of the retailer in not taking care to stack the merchandise in a way that keeps customers safe. When a customer is injured because of a dangerous condition in a retail store, he or she can seek recovery under the legal principle of premises liability. Store owners owe a duty of care to their customers and their employees to maintain a safe environment that is free from foreseeable hazards. The customer who sustains a serious injury may have grounds for a premises liability claim against the store owner for their medical bills, lost wages, and pain and suffering. Of course, you can’t sue retail stores for every minor injury suffered on the properties, but if the property owner knew about the hazard but did nothing about it, he or she can be held liable for any injuries that occur as a result. Clearly, in a warehouse-type store, merchandise falling on customers is a potential danger. They are required to mitigate foreseeable hazards. Property owners are also responsible for the conduct and negligent actions of their employees. To prevail, you must be able to prove that the property owner was negligent before he or she can be held liable for your injuries. You must prove that the property owner failed in his or her duty of care to provide a safe shopping experience, and that failure was the direct cause of your injuries. To recover compensation for your injuries, you will want to work with an experienced Chattanooga premises liability lawyer who can represent your interests and pursue justice on your behalf. At Wagner & Wagner Attorneys at Law, we have the experience and resources to help you get justice. Our lawyers serve clients in Chattanooga and Cleveland, TN, in North Georgia, and nearby locations. Phone us today at 423-799-3532 or complete our contact form to schedule a free consultation.